I think MOC (My Own Creation) builders are wonderful people. They never limit their creativity in order to come up with cool-looking models every time. 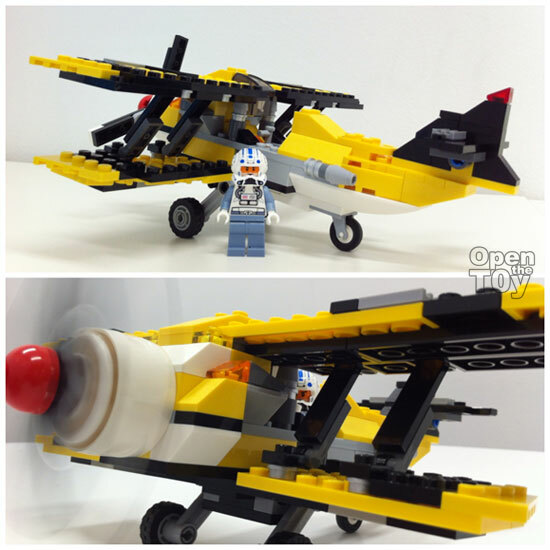 Today I will review this Bi-Plane MOC model designed by Alan Cheung aka AlanBoar (that is online name he goes by on the MOC LEGO scene). 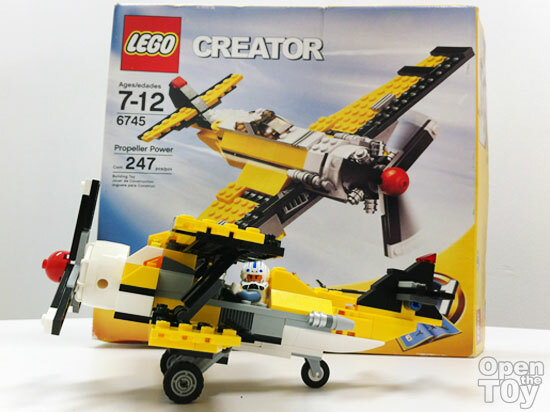 This model uses only bricks parts from the LEGO CREATOR 6745 Propeller Power building toy set (Note: this is a discontinued building toy set). You can see my Captain Jag fighter pilot minifigure from LEGO Star Wars line is ready to rule the skies. 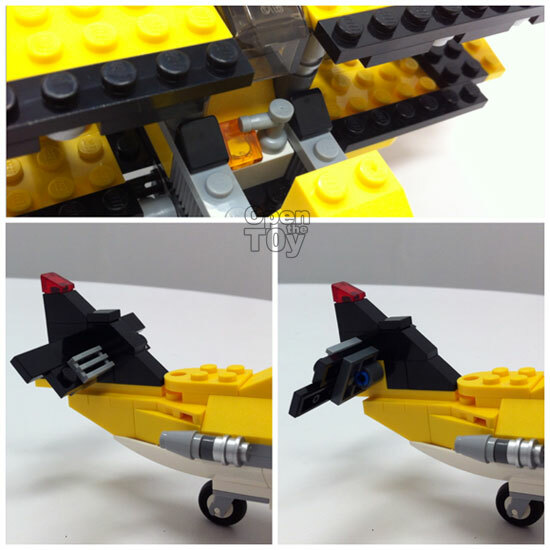 AlanBoar’s MOC Bi-Plane is designed like aircrafts which flew during the early years of aviation. This model has two wings put one on top of the other, supported by external bracing. 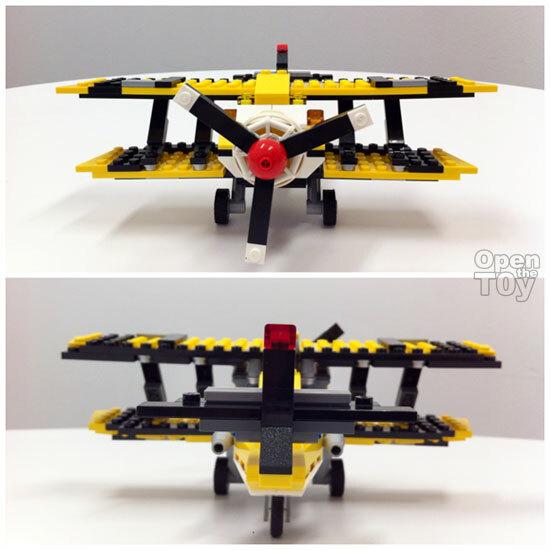 There are nice details put into AlanBoar’s MOC Bi-Plane which makes it a very lively design. 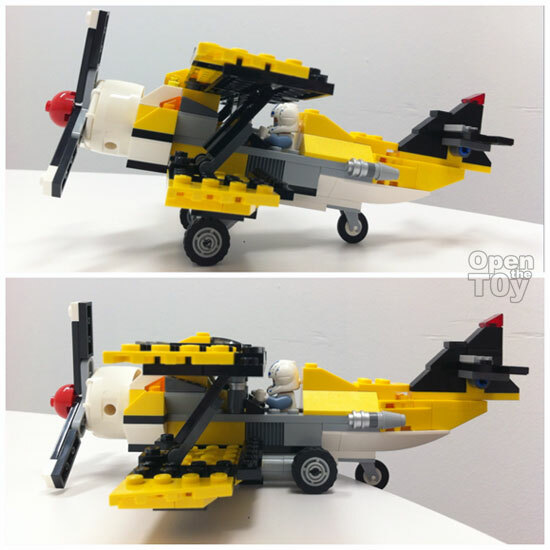 AlanBoar’s MOC Bi-Plane features an open cockpit to seat one LEGO minifigure and comes with working elevators on the Bi-Plane’s tail. Unfortunately, there are no rudders designed on the same tail. You can fold back the wheels of AlanBoar’s Bi-Plane when you convert the model into flight mode. 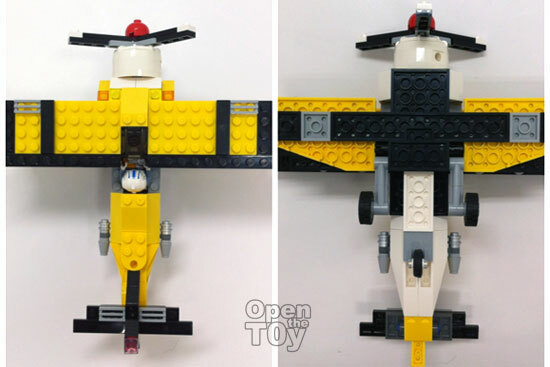 In summary, I think AlanBoar’s MOC Bi-Plane looks very good and a welcome MOC model unofficially designed for this building toy set. There are many very good MOC models designed by fellow MOC builders out there. 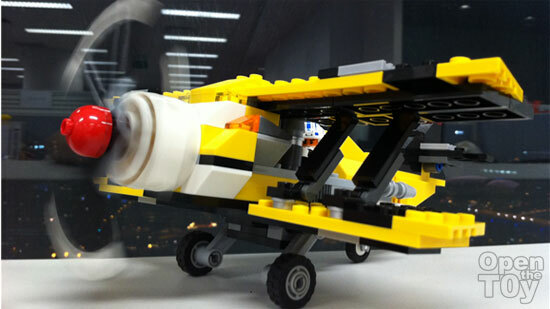 Like this AlanBoar’s MOC Bi-Plane model, the sky is the limit when it comes to everyone’s creativity. Thanks Yeetat for sharing with us again. MOC sure is inspiring and true expression many truth on how some collectors feel and a dash of creation would make LEGO as a whole more awesome!